This adventurous program under the watchful eye of Joshua Weilerstein largely confirmed that his rising star deserves to burn bright. Joined by Anne-Marie McDermott in place of an injured Louis Schwizgebel, the diversity and intelligence of the lineup was only slightly offset by some questionable execution and possible immaturity on the podium. In the Britten, Weilerstein proved fully able to convey the shifting moods of each interlude. The Detroit Symphony Orchestra played handsomely, save for some expected flaws in the brass and a quite unexpected creak in the woodwinds. Otherwise, the playing was atmospheric and highly focused. My two compatriots – who are unquestionably blessed with far more artistic talent than myself – found that the young maestro paid perhaps too much attention to the percussion, relentlessly giving them cues at the expense of the rest of the ensemble. Later portions of the concert would confirm this, though Weilerstein's general preference was not to shift from the center of the podium to any great degree. I am not sure if this made a difference in overall results, even if the percussion did sound rather enthusiastic all evening. 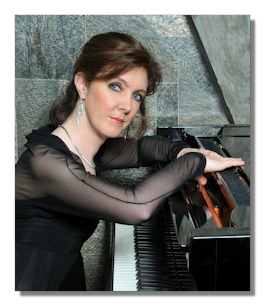 Anne-Marie McDermott's Mozart K. 271 benefitted from a remarkably incisive and well-shaped instrumental framework. This orchestra is not known for Mozart, but strings and winds are the undisputed strength of the ensemble, and that's the scoring called for. As for McDermott, her willingness to appear at all was admirable, but she brought no special insights to the music. The concerto was far superior to her encore, a mercilessly rushed Prelude to the Second English Suite of Johann Sebastian Bach. The finger-work was thrilling, but the overly driven tempos destroyed the composer's unparalleled musical structure. In the second half of the program, the quiet beauty of Arvo Pärt proved captivating. The "Holy Minimalist" gets relatively little attention for his orchestral work, and this is one of his more accessible works for those new to this composer. Weilerstein and the Detroit strings both proved excellent. Less engaging was the Schumann. Certain sections – especially the final two movements – were excellent. Elsewhere, I found myself wondering if the young conductor was ready for Schumann. In particular, the first two movements found neither orchestra nor conductor operating in peak form. Boring Schumann is a terrible thing, and unlike young Cristian Macelaru, Weilerstein did not show a willingness to push the music beyond moderate tempos. Mind you, not all "fast" Schumann is good either, but Weilerstein's conception probably needs a few more years to mature. Still, there was much to admire, and I find myself looking forward to the last weeks of the season.